Natalie Krishna Das was born in Los Angeles but currently lives in Arizona. Natalie has been skateboarding since 1998. She became a professional skateboarder in 2009. Some of her sponsors include: BOOM Electronics, Silly Girl Skateboards, NIXON, Falling Whistles, State Bicycle Co., ZOX Straps, Starr Skates, Navigator Trucks, and Deville Wheels/ Longboards. 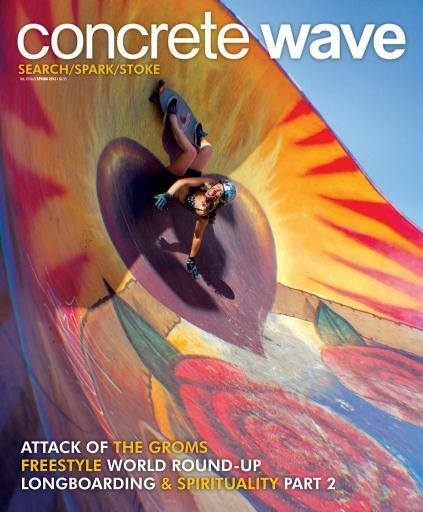 She has been on the front page of Concrete Wave magazine, competed in many skateboarding events around the World, and on a constant lookout for new adventures and opportunities. Natalie is a free spirit, full of positive energy, creative and with a big heart. We are so honored to have her in DMV on Feb 2-5. 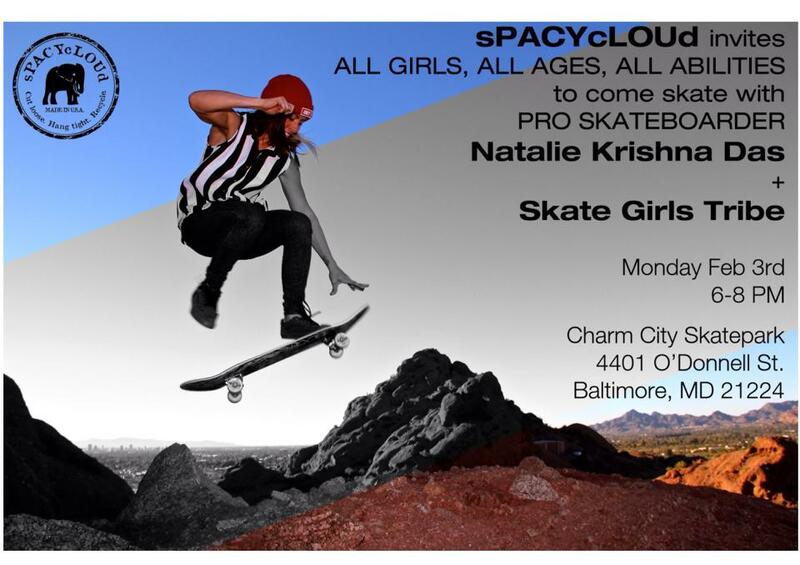 In addition to the skate session at Charmcity Skate Park on February 3rd, you might see Natalie skating at the Bridge Spot in DC and Powhatan Park Arlington VA.
What a glorious Sunday! Families, friends and kids of all ages came out to enjoy the beautiful spring day in Garfield Park aka Bridge Spot. Spectators sat on the sunny side of the hill as skaters cruised around the park hitting ramps and practicing rail slides. House beats filled the air while a dance circle formed and one by one local youths sauntered into the middle to show off their moves. Fresh paint faintly graced the senses as walls were white washed and new creations began to form including a starry night on the beach, a goose laying a heart with wings, and my favorite, a beautiful day of the dead woman between the words “Soul Society” tucked into an alcove. Paints, brushes, palates and a large wooden canvas were set up at the entrance for all to explore and express their inner artist and add to the day’s creations. 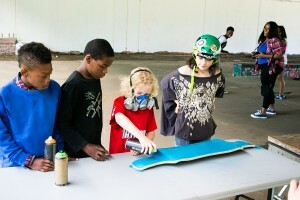 sPACYcLOUd and Skate Girls Tribe (SGT) provided equipment and skate decks to local youths, who customized their boards using spray paint (while wearing awesome gas masks! 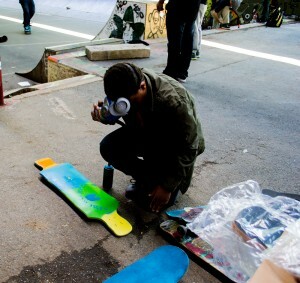 ), stencils, brushes, and their own creative minds. The DC Roller Girls brought another skating element to the park and raised awareness for their upcoming events. 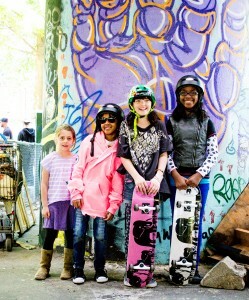 Our sponsors, Churchill MFG, Roll Skate Shop, were instrumental in making this day a success and we thank them dearly. Be bold. Be awesome. Be you! 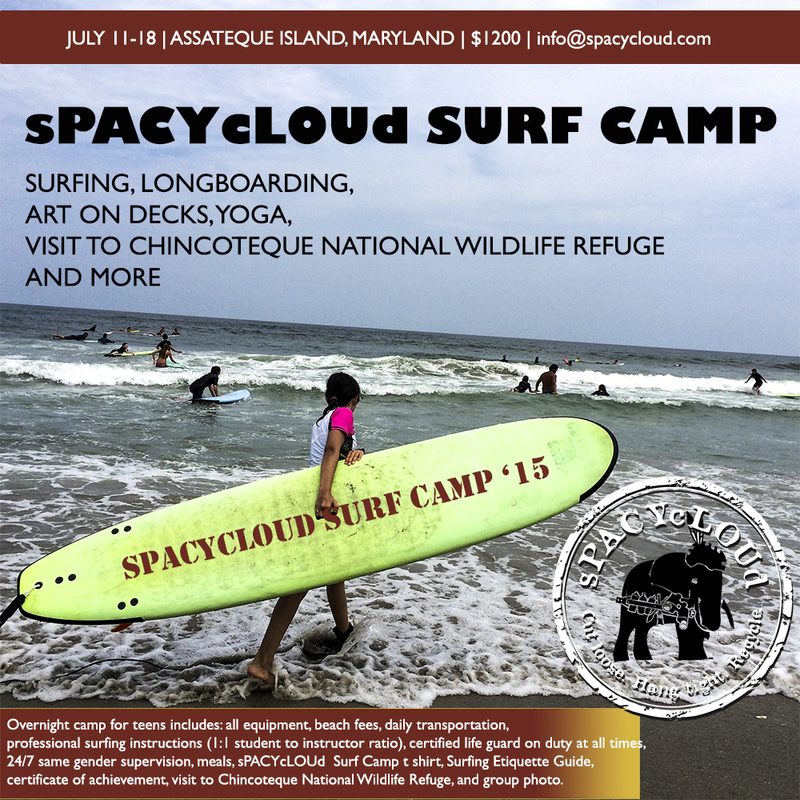 Until next time, this is Andi Cook, SGT and sPACYcLOUd team member, signing off.